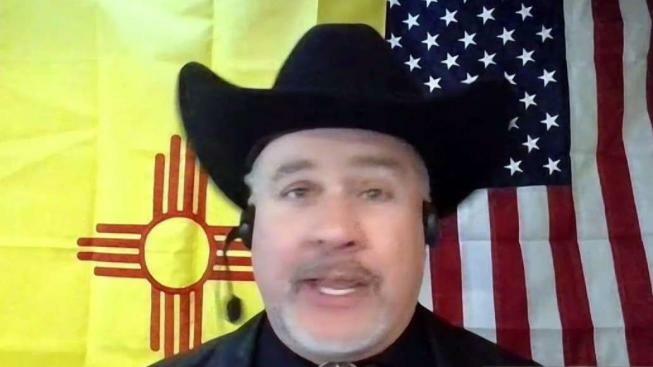 Sir, can I see your New Mexico passport? A man getting married in D.C. had to convince a clerk in the District that New Mexico is a state. News4's Erika Gonzalez has the story. A groom encountered a surprising snag when trying to get a marriage license in D.C. last week: A clerk told him his New Mexico identification wasn't acceptable because it was from outside the United States. "She was so sincere. 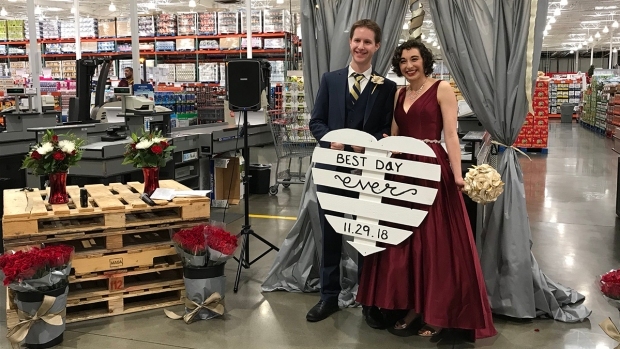 She said, 'I'm sorry, my supervisor says we can't accept international driver's licenses,'" recounted Gavin Clarkson, who went to get a license with his now-wife, Marina, at the D.C. Marriage Bureau on Nov. 20. Clarkson said that when he first presented his license to the clerk, she looked at it, went to talk to the supervisor and then asked to see his "New Mexico passport," he told NBC Washington on a phone call Friday. He said the clerk was embarrassed and apologetic once the matter was straightened out. After he informed her that New Mexico was indeed a state, she again went to speak with her supervisor, then told Clarkson, "'My supervisor and I have verified that New Mexico is a state,'" he recounted. "Basically, they went back and did a Google search," he said. At one point, the clerk also complimented him on his English, he said, noting that his now-wife, who is an immigrant, thought it was hilarious. Reporter's Reminder to TSA: D.C. Is Part of U.S.
Leah Gurowitz, spokeswoman for District of Columbia Courts, wrote in a statement, "We understand that a clerk in our Marriage Bureau made a mistake regarding New Mexico's 106-year history as a state. We very much regret the error and the slight delay it caused a New Mexico resident in applying for a DC marriage license." Clarkson said he's heard of other New Mexico residents having difficulty with people who believe the state is not part of the U.S.
"I'd heard all those stories. It had just never happened to me," he said. The couple was in a bit of a time crunch that day; they had made plans to get married that same day, which was the bride-to-be's birthday. "We had our paperwork," he said. "We figured we'd be in there, we'd be out of there." While that wasn't quite what happened, Clarkson said the process only took an extra 20 minutes. "It wasn't a massive delay," he said. The couple was able to get married in D.C. that day as planned. While the newlyweds are still working out where to live, Clarkson will be commuting between New Mexico and the D.C. area for the time being. "But I do not have to go through customs," he joked. Ironically, some D.C. residents have also had trouble getting their licenses seen as valid. In 2014, Cox Media Group television reporter Justin Gray was on his way back to D.C. when, he said, a Transportation Security Administration agent at Orlando International Airport didn't recognize his license. He realized the agent was not aware of what the District of Columbia was. After that, security workers were shown copies of a D.C. driver's license to get them acquainted with it. Months earlier, D.C. resident Ashley Brandt was trying to fly home from Arizona when she also was questioned about the validity of her D.C. driver's license. "I got a little nervous," she said at the time. "I just wasn't sure if the TSA didn't think it was a valid ID or it was because D.C. wasn't a state." In 2017, the D.C. DMV discontinued use of "District of Columbia" at the top of its licenses and went back to using "Washington, D.C" to cut back on confusion.